Are you ready for an ultimate robot war game of 2017? 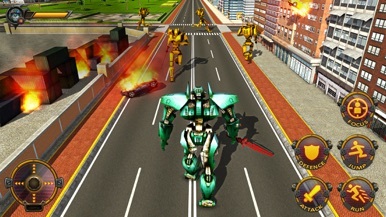 If you are looking for robot mobile game then this is exactly what you need this robots battle game is specially designed for those who love robots transformer, robot fighting and robot tanks battle games. As a guardian superhero your task is to transfer robots to the dark world from where there is no coming back. 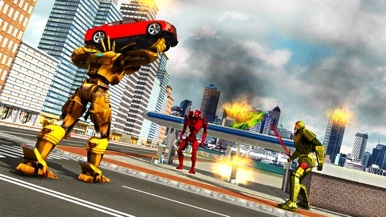 For centuries you were in the battle of darkness as an iron robot now fight as a steel machine for real robots war! 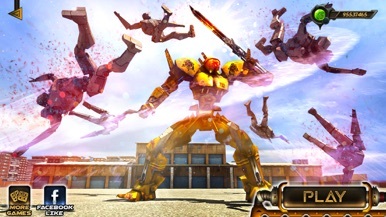 Become a monster mech robot to show what you got as earth is under attack fight for the honour of metal warriors to save the human race by destroying the angry robots. 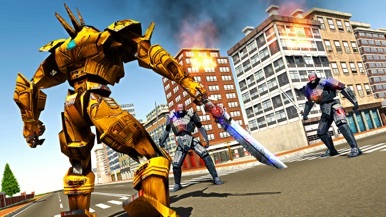 Prove yourself a warrior on each battle and use strategies and different tactical maneuvers to defeat the mad robots. Rebel Robots are destroying the modern city that is full of innocent humans you need to fight them and save the human race. Two worlds collided bring the planet back to life. 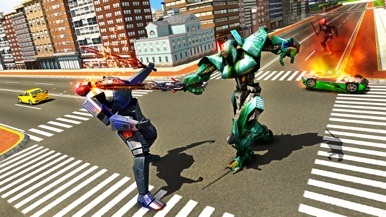 Don’t give up fight with swords of X-ray robot until victory is yours! MarketReView is a proprietary online database providing all the latest information on both traditional reinsurers and alternative markets.